My Bargain Basket: ArtsCow: FREE Photo Coasters and FREE Shipping! ArtsCow is once again offering up yet another photo deal! They are offering up a twin set of Rubber Photo Drink Coasters for FREE + FREE shipping! This is ONLY available to the first 3,000, so you’ll need to hurry!!! If you are not already a Fan of Artscow, login to your Facebook account, become a fan of ArtsCow on Facebook, and then go here. Scroll down and click on the “Tell A Friend” link (pink button) under the “FREE Coasters” offer. Select three friends from your Facebook page that you would like to invite to join ArtsCow. Click on the blue Send ArtsCow Coupon Invitation button and then confirm by clicking on the blue “Send” button. Return to the coupons page and retrieve your unique user-specific Coupon Checkout Code. Scroll down and you should see this unique code displayed in a pink/red box. 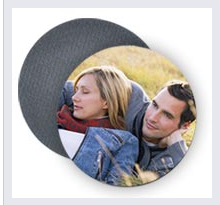 Now you can start creating your FREE photo Coasters. Remember to enter your user-specific coupon code at checkout.